I am constantly on the hunt for jeans that fit and feel like leggings. There is nothing worse than sliding into a pair of jeans that don't have the right amount of stretch to them. All of my jeans must be stretchy and comfortable to wear all day. I have a lot of go-to places where I can find jeans that fit the bill every time. 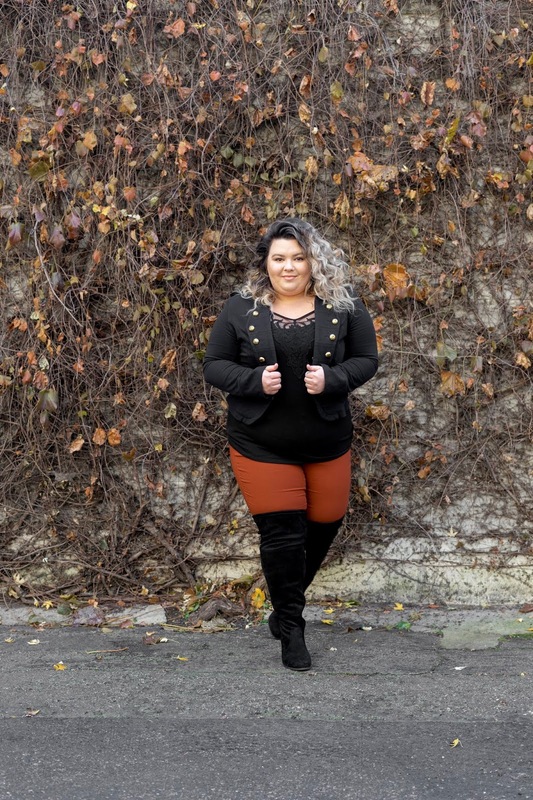 But as more brands begin to offer plus sizes, it seems as though it's harder to find jeans that fit my short frame and show off my curves with form-fitting material, rather than hiding them with looser-fitting styles. While this is truly frustrating, I think I may have found a place that sells denim that fits me like a glove—and looks so good on my curves (YASS)! Royalty For Me Jeans just launched under the YMI Jeans brands, and I got to try out a few pairs. One of my favorite fits were these Hyperstretch Skinny Jeans in Copper—did you catch the "hyperstretch" part? As I am sure you can tell, these jeans are so stretchy, without losing their form-fitting fit. Comfort meets quality, which is a win-win for me. While these jeans do stretch, they also include a tummy control panel in the front for extra support. I especially like this feature because while I love my body to the moon and back, I sometimes struggle with my stomach and how it looks in jeans—especially while wearing a curve hugging, tight top like the one I am currently sporting. Now, a lot of tummy control panels can be so problematic. I have had a hard time wearing tummy control jeans because they can be so tight or hard to sit in all day. But I am happy to report that these jeans are definitely breathable while offering that extra support—if you want it! Not only is the fit on point, I love the color, and the jeans come in 11 other hues, too! Check them out here: WOMEN PLUS SIZE HYPERSTRETCH SKINNY JEAN Since the jeans are definitely the star of the show, I wanted to create a look that would complement it. I threw on my fave military-inspired jacket, which I have had for years, a Torrid tank top, and my new favorite over-the-knee boots from Torrid. Where do you like to shop for jeans? SIZING INFO: I am wearing a size 16W in the Hyperstretch Skinny Jeans in Copper, which is my usual size, and these jeans fit perfectly! 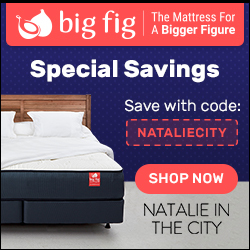 If you visit Natalie in the City frequently, you may be thinking, "Wait, Natalie! You are usually a size 18!" This is true, but when clothing comes in a "wide fit" like these jeans, I tend to order a 16W as they are more true to size. Royalty For Me Jeans sent me these jeans to review. All opinions are my own!